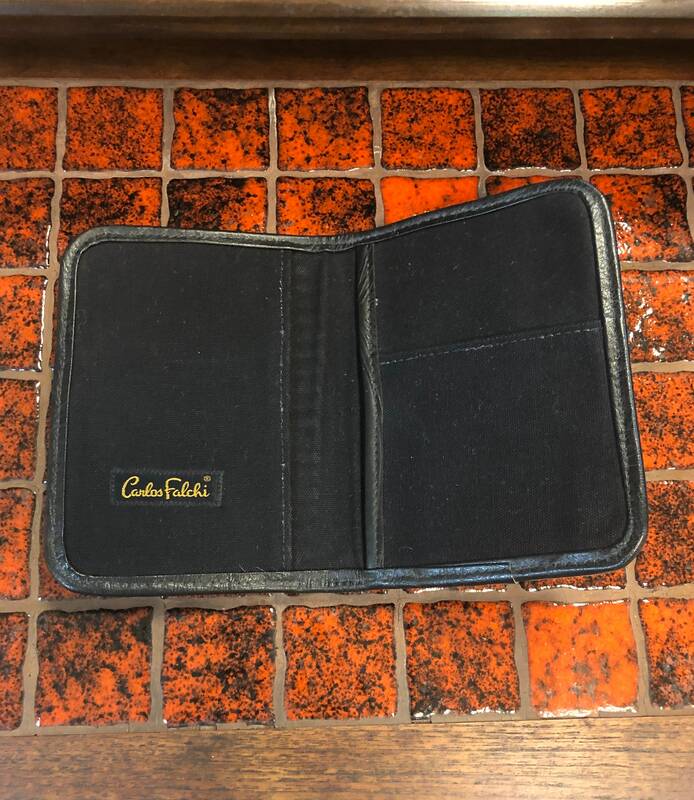 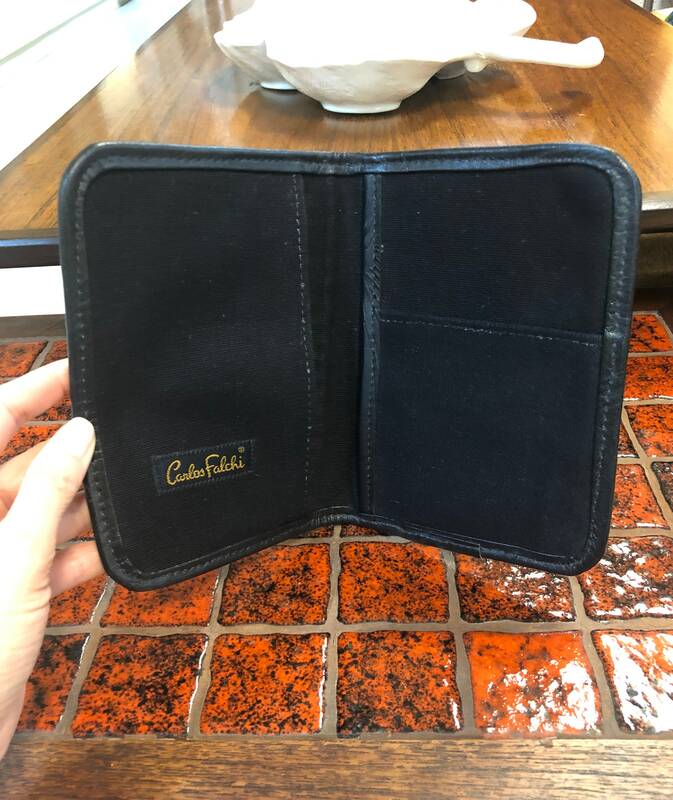 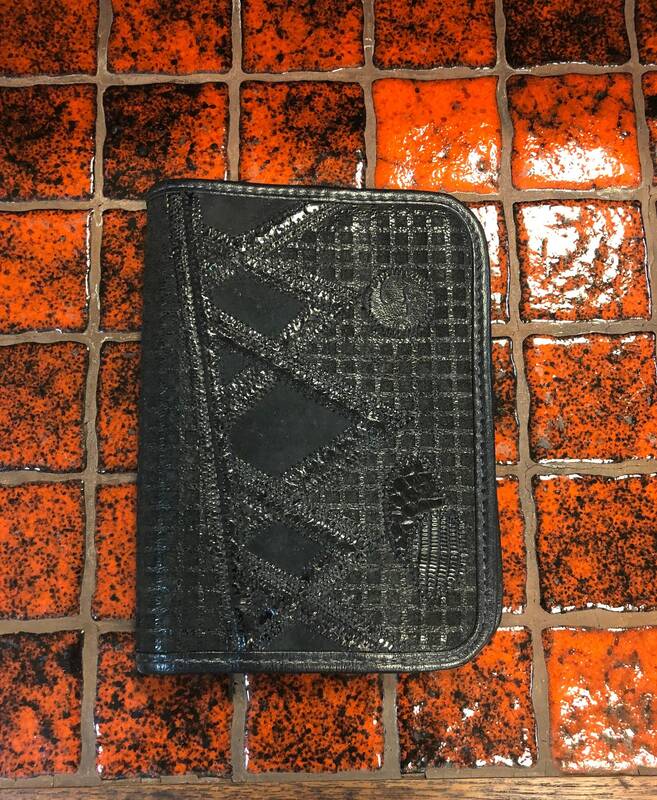 Vintage Carlos Falchi black leather and suede passport cover or wallet. 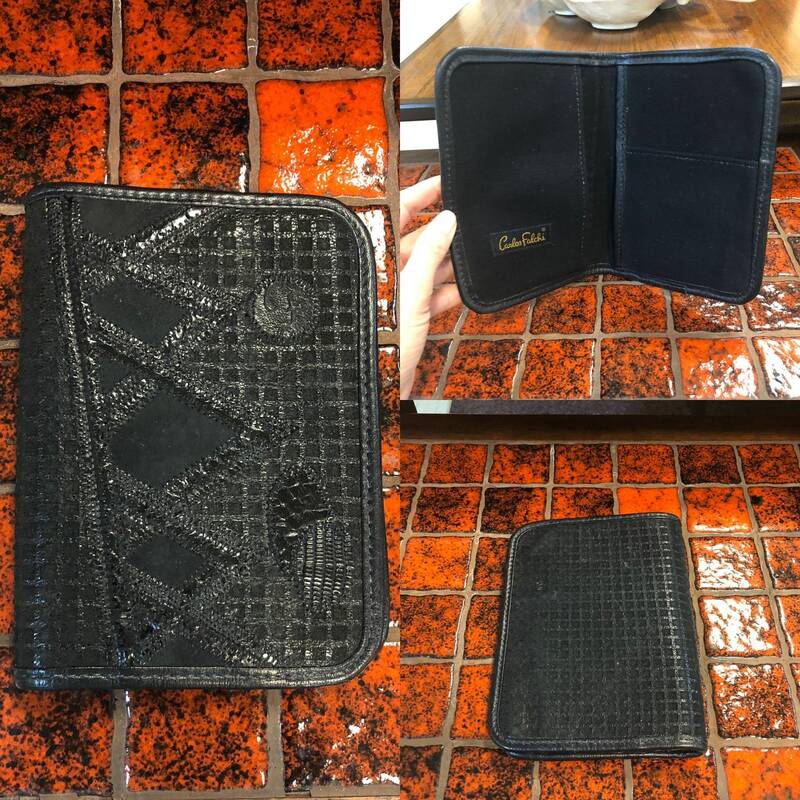 Canvas lined interior with two long slit pockets on each side and one smaller pocket. 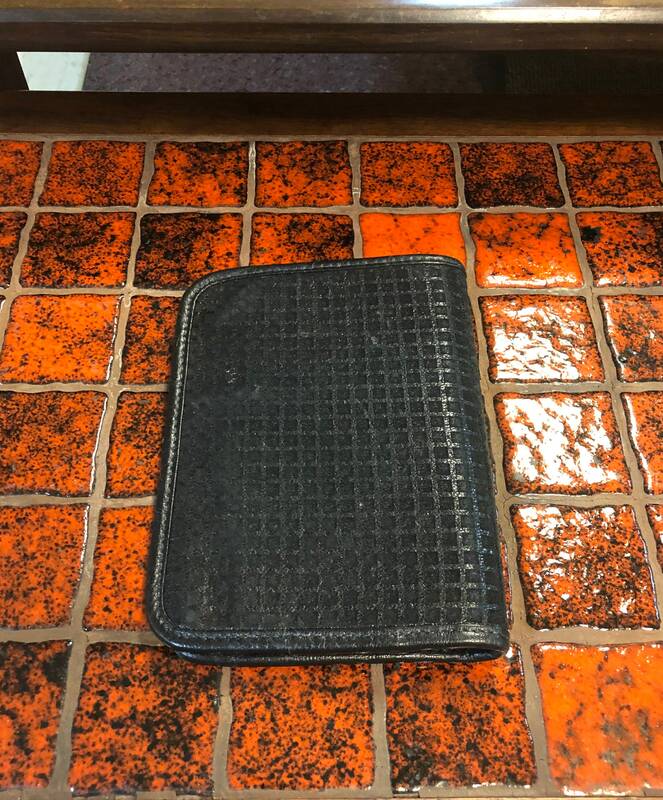 Measures 5”w x 6 3/4”h when folded closed.